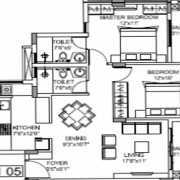 Godrej E-City Phase 3 Floor Planfloor plans of the project are well-designed. The formats of 1, 2, and 3 BHK range from 638 sq. ft. to 1575 sq. ft. overall. Thus, there is a match for every type of need here. The 1 BHK is a small and compact unit, yet very cozy. 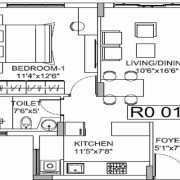 The 2 BHK flat has two variants, 1028 sq. ft. and 1073 sq. ft. 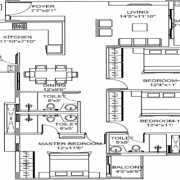 The 2.5 BHK unit has 1196 sq. ft. The largest of the lot, the 3 BHK homes come in variants of 1449 sq. ft. and 1575 sq. ft. respectively. 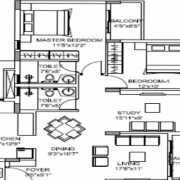 Each home is spaciously planned with high focus in efficiency and space usage.